To avoid complaints of hard starting, 1951 Buick owners should be advised on the proper use of the 1951 Buick accelerator pedal for starting the engine. When the engine is cold, depress the accelerator pedal just far enough to cause cranking motor to engage and crank the engine. Do not pump the pedal as this will cause the accelerating pump to flood the manifold. When the engine is partially warm, hot, or flooded, depress accelerator pedal to the floor and hold it until engine fires regularly. This procedure actuates the choke unloader on the carburetor to prevent or to clear up a flooded condition. Before attempting any correction in 1951 Buick fuel system make certain that the battery and ignition system are in proper condition. See paragraph 10-44. Hard starting may be caused by incorrect timing of the accelerator vacuum switch. If the switch is timed too early, the engine will be cranked with insufficient throttle opening and failure to start, or stalling after starting, will result. Extremely late timing may bring the choke unloader into operation and cause hard starting with a cold engine. See paragraph 10-32 (Carter) or 10-33 (Stromberg). An incorrectly adjusted fast idle cam may provide insufficient throttle opening and stalling will result as soon as accelerator pedal is released. If the choke unloader goes into action too soon it may cause hard starting when engine is cold. If choke unloader goes into action too late or not at all, it may cause hard starting when engine is partially warm, hot, or flooded. See paragraph 3-21 (Carter) or 3-28 (Stromberg). No fuel may be delivered to carburetor due to empty gasoline tank or stoppages in filters, strainers or feed pipes, or inoperative fuel pump. 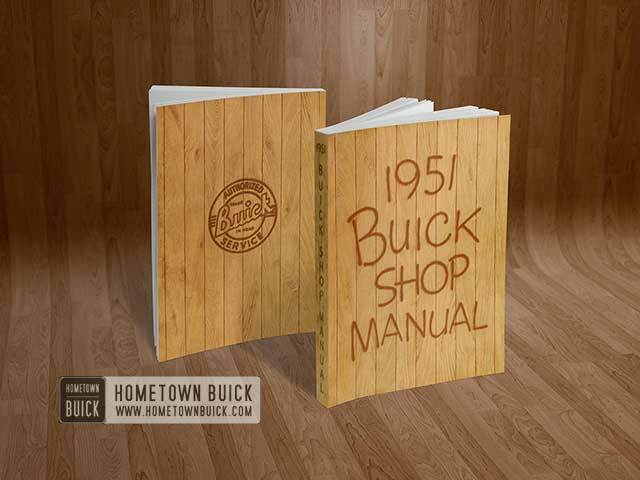 Test 1951 Buick fuel supply as described in paragraph 3-15. Improper setting of carburetor idle needle valves may cause stalling after starting. A high fuel level in float bowl will cause flooding and consequent hard starting. Adjust carburetor (par. 3-10). Low grade gasoline is usually insufficiently volatile to provide easy starting in cold weather even though it may perform reasonably well after the engine is started and warmed up. A change to higher grade gasoline is the only remedy. In some parts of the country, gasolines are marketed which are very volatile and generally advertised as “easy starting gasolines.” Some of these fuels are so volatile they boil (commonly referred to as “percolation”) in a carburetor bowl which is only normally warm, especially when the engine is shut off following a run. This overloads the manifold, resulting in an over rich mixture which may cause “delayed” starting. Such gasolines are not necessary in a Buick since the automatic choke has been designed and calibrated to provide easy and positive starting with fuels of ordinary volatility, but if the owner wishes to use volatile gasolines the automatic choke thermostat should be adjusted for a “lean” setting (par. 3-11). A cold engine should operate on fast idle for two to five minutes depending on air temperature. At 32°F. the fast idle cam should move to slow idle position in approximately 1/2 to 3/4 mile of driving. At higher temperatures it should move to slow idle position in a correspondingly shorter distance. If the engine operates too long on the fast idle cam, check the choke thermostat setting (par. 3-11) and the fast idle adjustment (par. 3-21, Carter, or par. 3-28, Stromberg). If engine idles faster than 8 MPH on a level road in third speed when off the fast idle cam, check throttle linkage for binding or weak return spring and adjust throttle stop screw (par. 3-8). Rough idling and tendency to stall may be caused by idling speed set below 450 RPM or improper needle valve adjustment (par. 3-10). Rough idling, poor performance, and back firing at low speeds frequently originates in improper ignition. Check ignition system (par. 10-44). High fuel pump pressure will cause rough idling and poor low speed performance (par. 3-15). An intake manifold air leak will cause rough idling and poor low speed performance. A manifold air leak produces a low, erratic reading on a vacuum gauge connected to the intake manifold. Look for leaks at windshield wiper and all pipe connections and check manifold joints with gasoline. When rough idling and poor low speed performance cannot be corrected by checks of carburetion and ignition mentioned above, check valve adjustment and check cylinder compression. Improper performance which is most noticeable at low speeds may be caused by sticking valves. Sticking valves may be caused by the use of low grade fuel or fuel that has been in storage too long. When a car is stored for any length of time, fuel should be drained from the tank, feed pipes, 1951 Buick fuel pump, and carburetor in order to avoid gum formation. Roughness or poor performance above 22 MPH indicates faulty ignition (par. 10-44) or improper settings in the high speed circuit of carburetor. With Stromberg carburetors, surging at 75 to 80 MPH constant speed indicates that the power jet is stopped up or the vacuum piston is sticking. If there is lack of power at top speed, check throttle linkage to insure full throttle valve opening (par. 3-8). Light detonation will occur in synchromesh engines when operating with part throttle (14 to 22 MPH) on a hard pull even when ignition timing is correct and premium fuel is used. This operating condition is normal and no attempt should be made to eliminate light detonation by retarding the ignition timing, which will reduce economy and over-all performance. Heavy detonation may be caused by improper ignition timing (par. 10-47), improper grade of fuel, or by an accumulation of carbon in combustion chambers. Series 40 synchromesh engines may use regular fuel but Series 40 Dynaflow and all Series 50 and 70 engines require premium fuel because of the higher compression ratios in these engines. Heavy detonation is injurious to any automotive engine. A car driven continuously under conditions and fuels which produce heavy detonation will overheat and lose power, with the possibility of damage to pistons and bearings. Complaints of excessive 1951 Buick fuel consumption require a careful investigation of owner driving habits and operating conditions as well as the mechanical conditions of the engine and fuel system; otherwise, much useless work may be done in an attempt to increase fuel economy. Driving habits which seriously affect fuel economy are: high speed driving, frequent and rapid acceleration, driving too long in first or second speed when getting under way, excessive idling while standing. Operating conditions which adversely affect fuel economy are: excessive acceleration, frequent starts and stops, congested traffic, poor roads, hills and mountains, high winds, low tire pressures. High speed is the greatest contributor to low gas mileage. Air resistance increases as the square of the speed. For instance, a car going sixty miles an hour must overcome air resistance four times as great as when going thirty miles an hour. At eighty miles an hour the resistance is over seven times as great as when going thirty miles an hour. Over seventy-five per cent of the power required to drive a car eighty miles an hour is used in overcoming air resistance, while at thirty miles an hour only thirty per cent of the power required is used to overcome air resistance. Gas mileage records made by car owners never give a true picture of the efficiency of the engine fuel system since they include the effects of driving habits and operating conditions. Because of the wide variation in these conditions it is impossible to give average mileage figures for cars in general use; therefore, any investigation of a mileage complaint must be based on an accurate measurement of gasoline consumption per mile under proper test conditions. If a mileage test indicates that the 1951 Buick fuel consumption is above normal, check the following items. 1951 Buick fuel Leaks. Check all gasoline pipe connections, fuel pump bowl gasket, gasoline filter gasket, and carburetor bowl gasket. Check for low tire pressures (par. 6-8). Check for dragging brakes (par. 8-7). Ignition Timing-Spark Plugs. Late ignition timing causes loss of power and increases fuel consumption, (par. 10-47) l Dirty or worn out spark plugs are wasteful of fuel (par. 10-48). Low Grade Gasoline. Use of gasoline of such low grade that ignition timing must be retarded to avoid excessive detonation will give very poor fuel economy. Exhaust Manifold H eater Valve. Check for sticking valve or improper setting of thermostat (par. 3-9). Air Cleaner. Check for dirty or clogged cleaner element and excessive oil in sump (par. 3-7). Automatic Choke. Check for sticking choke valve and improper setting of thermostat (par. 3-11). Check for tight valve lash or sticking valve (par. 2-14). 1951 Buick fuel Pump. Check for excessive fuel pump pressure (par. 3-15). Carburetor Adjustment. Check idle adjustment (par. 3-10). On Carter carburetor, the metering rod setting may be checked without removing carburetor. For all other corrections to high speed and power systems of Carter or Stromberg carburetors, the carburetors must be removed and disassembled (par. 3-23, Carter, or 3-29, Stromberg). Under no circumstances should the jet sizes, metering rods and other calibrations of a carburetor be changed from factory specifications. The calibrations given in paragraph 3-1 must be adhered to unless these are later changed by a bulletin issued from the Buick Factory Service Department. Carburetor calibrations have been determined after exhaustive tests with laboratory equipment and instruments which accurately measure overall performance and economy. Since equipment and instruments of identical accuracy are not available for field use, it is not possible to properly measure the effect of a change in calibrations by any means available in service stations.